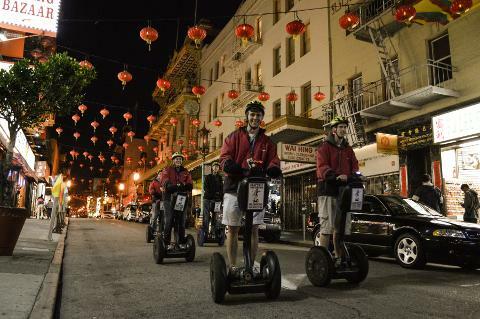 Explore San Francisco by Night on this unique and fun-filled tour. 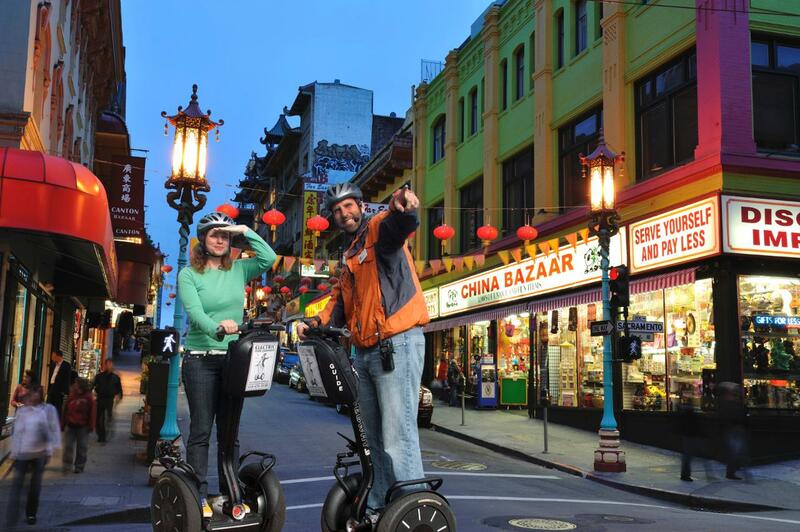 Explore Fisherman’s Wharf, North Beach, Chinatown and the Waterfront. After a 20-40 minute training session on how to safely operate the Segway, you will glide through lively neighborhoods for a total of two hours. Each guest is issued a compact radio receiver so they don't miss a detail of what the guide is saying about each site seen on the tour. Numerous stops are made for photos - so don't forget your camera. North Beach: Little Italy: This famous culinary destination prides itself on authentic Italian fare and bustles with activity both day and night. Stop in Washington Square Park, near Sts. Peter and Paul Church, and learn about the authentic Beat Generation in North Beach.